Sat 2:00 PM Decorate Christmas cookies. Sat 5:00 PM Camper Potluck to celebrate the holidays. 6:00 PM Campsite decorations are judged. Sat 6:00 PM Trick or Treat around the campground. 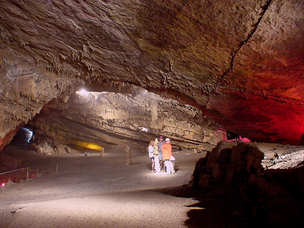 One of the largest caverns in Pennsylvania, its nickname reflects its five spacious room, one of which, "The Hall of Statues" is 300 feet long. Experienced guides conduct a well explained, easily walked tour offering 50 minutes of nature at its best. 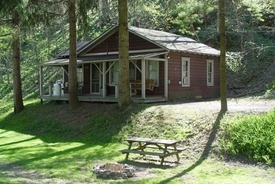 Cabin rentals by the night or weekly. One , two, or three bedroom. Call for reservations. 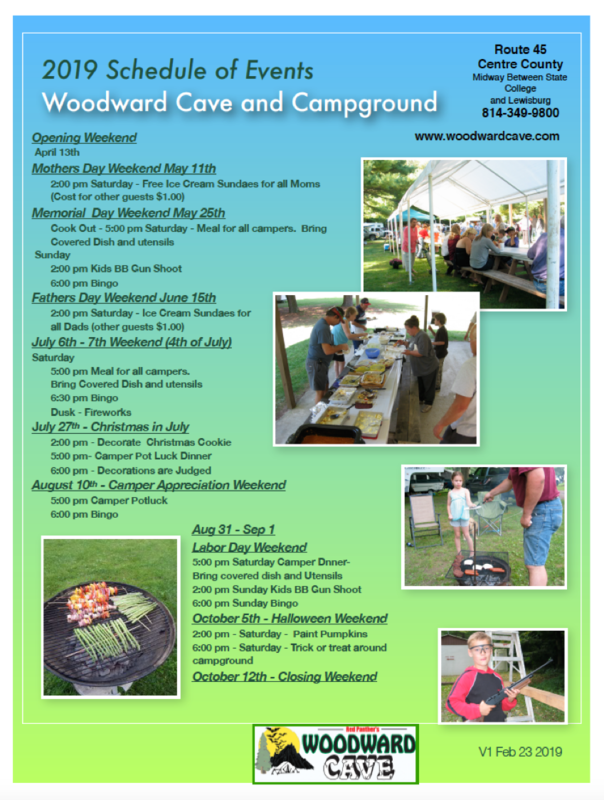 Visit our beautifully groomed 13 acre campsite area nestled within the Appalachian Ridge and Valley area.